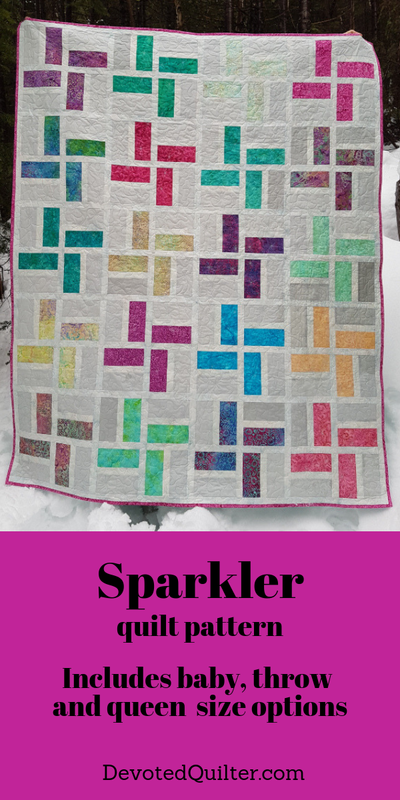 Devoted Quilter: Sparkler Pattern Release! Great quilt and now a great pattern - good luck with it! I love the idea of going scrappy! Leanne, this is a simple but a striking and a lovely pattern. Congratulations to you!!! Great quilt. Love the simplicity of it. Thanks for linking this happy finish to TGIFF!